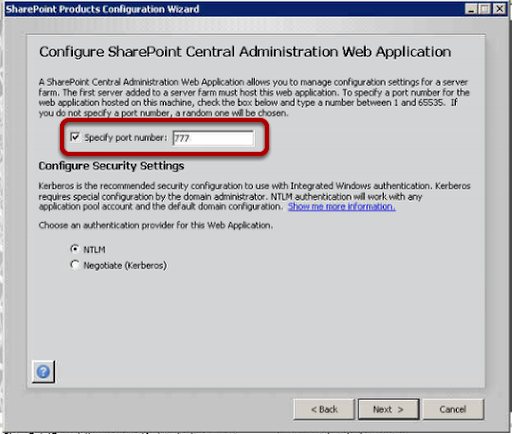 Start the wizard to allow you to configure the Sharepoint Farm. 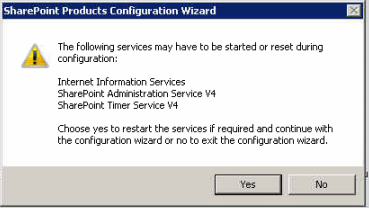 Note the services that need to restart. 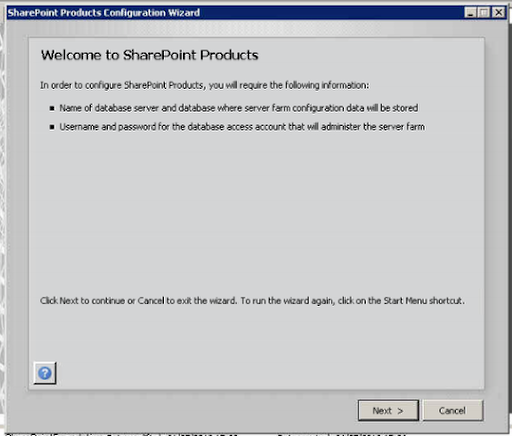 You can now specifiy where the Sharepoint databases will be stored, enter the SQL Server under Database Server , keep the name of the database as suggested. 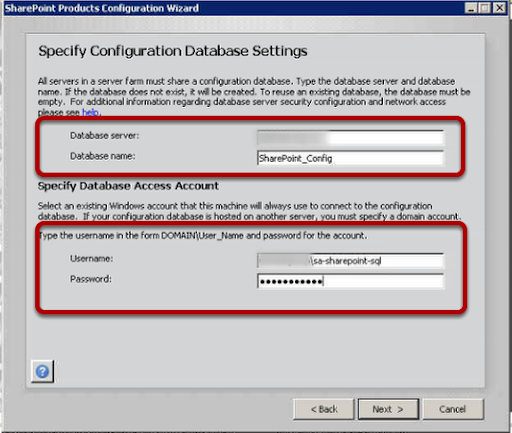 You will need a SQL Server service account for the database to be created, this needs to only be a domain account as the wizard will elevate the privileges for you. 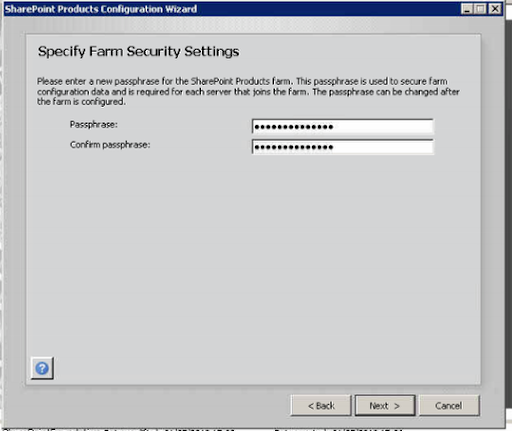 The Farm Passphrase is used each time a server joins the farm, use a secure passphrase. 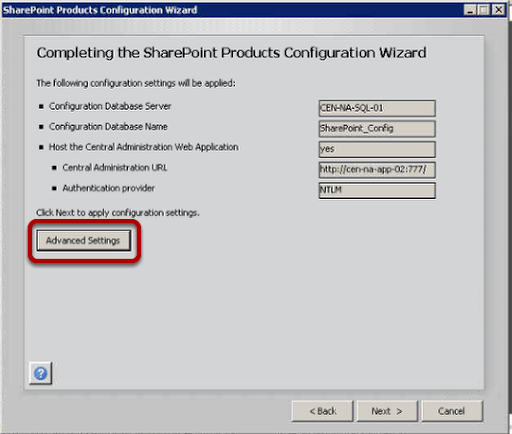 Note the Advanced Settings button, this is only available in a Foundation installation. 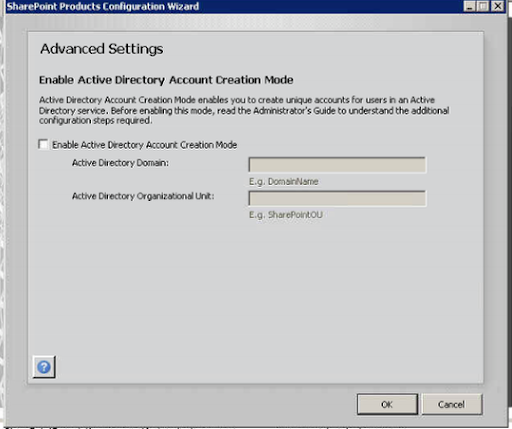 You have the ability to create Active Directory accounts when you create users in Sharepoint, however note that you cannot use existing Active Directory accounts if you choose this option and so your existing users would need a second account and lets face it, no users need a second account! 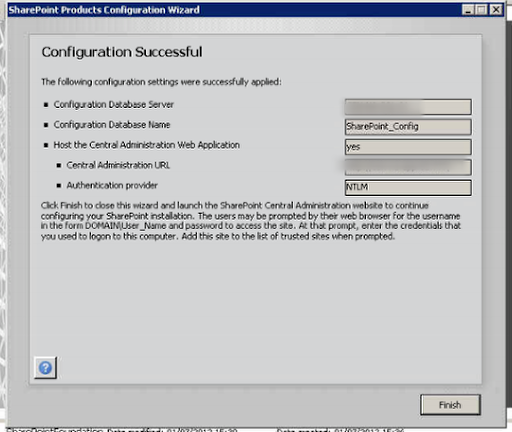 If you now check your SQL Server you can see the new databases that have been created. 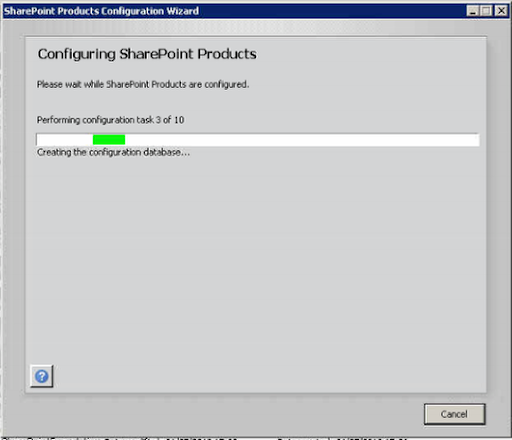 The configuration wizard is complete. 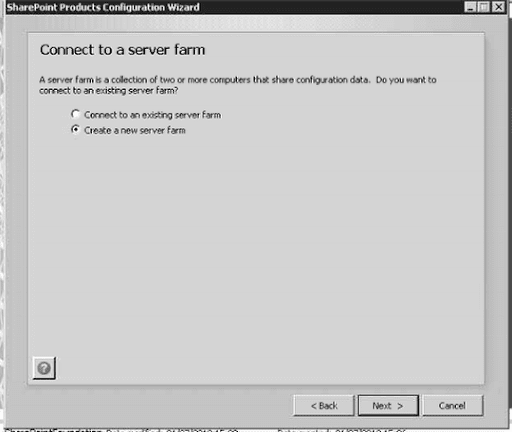 Part 3 will discuss the Farm Configuration.